The first time California singer-songwriter Tyler Gelrud took the online music community by storm was as one-half of the pop duo Lyonn back in 2016. The artist’s theatrical style and penchant for bright melodies swiftly earned Lyonn a loyal fanbase, stemming in large part from music-sharing platforms like Jamendo and Bandcamp. 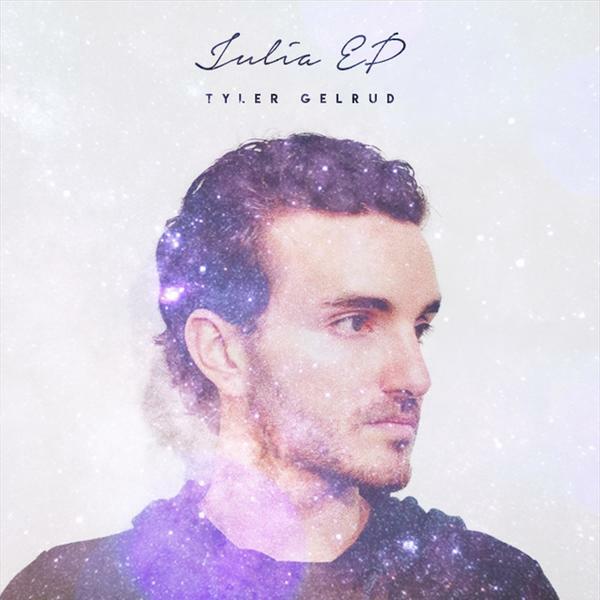 Tyler now returns with his first solo release, titled Julia, which extends the thread of sweet, dramatic songwriting that has run through his work from the start while simultaneously refining and revamping it. The elements that marked the music of Lyonn – dazzling harmonies, sticky hooks and moody lyricism – are all retained by Tyler on Julia, but this time he casts his net even wider. Influences from indie rock and jangle pop distinctly imbue a significant portion of the EP; one listen to Midnight Mind, the most dynamic track on the record, is all it takes to hear the unmistakable imprint of The Smiths, as Tyler belts out poignant vignettes like “Lie to me/ It’s the only way I’ll get some sleep tonight” amidst bright, clinking guitar chords. The EP also sees Tyler adopting a more organic and stripped down approach to his tracks than any of his previous work. Rather than synths or drum machines (favorites of Lyonn), the songs on Julia are anchored by pianos and acoustic guitars and skilfully avoid excess ornamentation. The best example of how effective this decision can be is the closer Silver Screen Love, which stuns with its simplicity and raw emotion. Tyler’s passionate vocal delivery, meanwhile, elevates the EP to an even higher plane of emotional intensity – of which the swooning chorus of Just Say Hello would be the most powerful instance. Julia is easily Tyler’s best work till yet. Don’t wait a moment in pressing play!